Vom 30.01.2017 bis zum 31.01.2017 wurden 23 Knowledgebase Artikel veröffentlicht. This article provide information on how to enable Location-Based printing feature and disable Thinprint( printer redirection feature) simultaneously in View Agent. After installing or upgrading to VMware vCenter Server Appliance 6.0 Update 2, you experience these symptoms: SNMPD stops sending traps. SNMP queries time out randomly. Running top command from the vCenter Appliance bash prompt displays the CPU usage of 100% for SNMPD. You can use the sizing guidelines for vRealize Operations Manager (formerly known as vCenter Operations Manager) to determine the configurations to be used during installation. 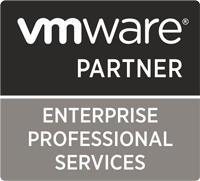 Policy changes do not recalculate data in VMware vRealize Operations Manager (vROPs). Policy changes to a group or object does not reflect to non-local resources in other nodes. Policy changes applied to group or object is not honored by other nodes in the vRealize Operations Manager cluster. By default, Ubuntu 14.04 and 16.04 display 3D graphics in full screen, and the graphic performance is poor. XaaS blueprints, resources, actions (timeouts, unable to connect) or using wrong vRO server in default tenant vsphere.local. When logged both as tenant admin in vsphere.local tenant and system admin the vRO server configuration Test Connection is successful. This only affects the default vsphere.local tenant. steps to upgrade VMware Identity Manager offline. For more information, see the Upgrading VMware Identity Manager Offline section in the Upgrading to VMware Identity Manager 2.8 Guide. install the solution or management pack in VMware vRealize Operations Manager UI. There is no way to uninstall the solution or management pack from VMware vRealize Operations Manager UI. When accessing virtual machine console through Web Client, the mouse does not have access to the entire desktop. Adjusting the zoom on the browser yields either better or worse results depending on zoom in versus zoom out.